I received this book for free from Penguin in exchange for an honest review. This does not affect my opinion of the book or the content of my review. I read many books every month and every year and whilst I love the majority of them, sometimes there are a few that really stand out. Winger, by far, is a massive contender for my favourite book of the year. Set in an American boarding school, Ryan Dean Smith is a normal teenage boy who is a winger, hence the title, on the school rugby team and happens to be in love with his best friend, Annie. Winger tells the story of his year in Opportunity Hall, the building that houses the school’s resident troublemakers. Before reading, I was a little bit nervous. Although I’d heard really good things about it, I hadn’t read or watched any specific reviews so I went into it with a completely open mind. Meaning to read only a few pages, I couldn’t help but read chapter after chapter, and found myself totally immersed. As a teenager myself, one of the things that really bothers me is when the protagonist in a YA novel feels forced and doesn’t reflect an actual teenager living in today’s day and age. Fortunately, Smith has created an incredibly well rounded and credible teenager in Ryan Dean, who is the epitome of adolescence. Winger is a book that will attract many teenagers because of its relevance to real issues that every youth has to face – from attracting your crush to dealing with fights and arguments. I also think Smith has portrayed the hormonal and lust-driven teenager well in Ryan Dean. From the first page it is obvious that Smith hasn’t bothered to sugar coat the details. In fact, the novel opens with Ryan Dean trying to save himself from having his head shoved down a toilet. Definitely an opening worth remembering! Included in Winger are comic strips and illustrations that added familiarity and humour. Although Winger isn’t the shortest book, it’s fast-paced and an easy read. It leaves the reader with many thoughts and feelings; it’s not a book you put down without it leaving its mark. No matter who you are – male or female, adult or teenager – I think Winger is the perfect book for you. I cannot stop recommending it and I just know that it’s worth your time to buy and read. Thanks for the insightful review! I added to my to-read list. 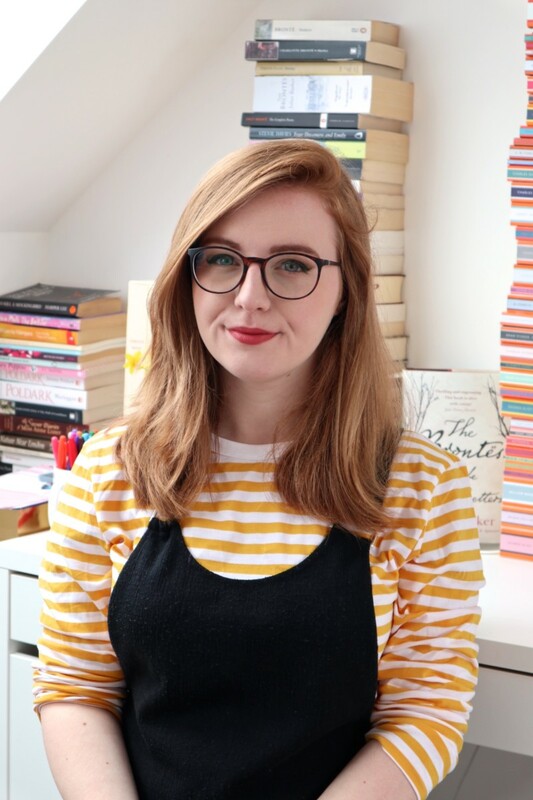 Georgia (The Bibliomaniac) recently posted…An interview with… Sophie Hamilton! AHHHH I wants this so bad. Before I was thinking, eh, is it overhyped? IDK. But Lucy, you keep making me want to read books and that’s unfair. Now it has your stamp of approval though I want to read it so bad haha. I’m glad the author knew how to make the MC relatable to teens and it didn’t come across like he knew no idea of how teens act. feast: no, d300 too heavy n d90 not on market yet. have to do another tranpjoh!athin: good tt u asked. it was trotters, not hock. trotters are the em, digits, whereas hocks are the upper part of the lower leg. i thnk.pea: ah, must be d same shop. there’s so many places in hk i think it’ll take years to check out most of the places.wish i could stay there for a couple of months.